White’s Oats is thrilled to partner with the Mary Peters Trust, Northern Ireland’s leading sporting charity, on its inaugural ‘Trainers for the Trust’ Initiative. Trainers for the Trust is a play on the traditional non-uniform day in which pupils wear their trainers to school for a small donation of £1 or more to the Trust. The Trust is inspiring in its work towards supporting and funding future athletes and White’s is delighted to be collaborating with them on the Initiative. A healthy lifestyle can reap so many benefits, not least the physical benefits but also mentally, and this starts with the food we eat to the amount of exercise we do. 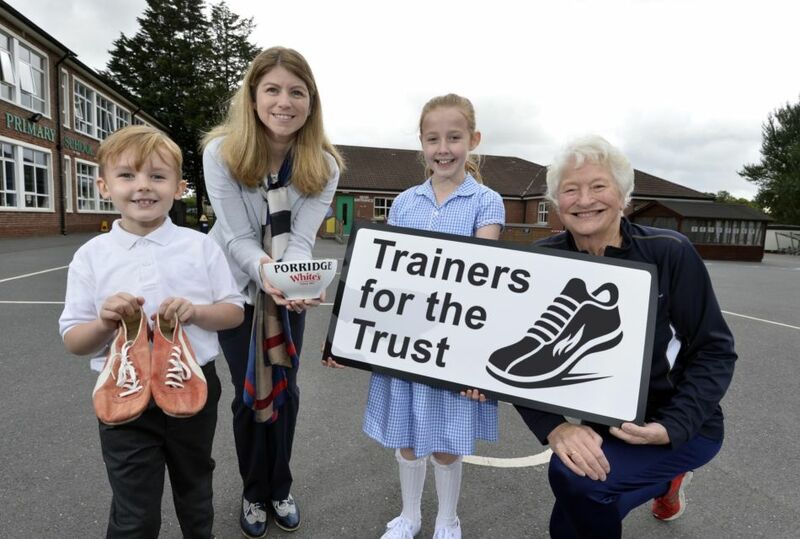 It is hoped through the initiative that schools will be encouraged to, not just wear their trainers for the day but to hold a health and fitness event and embrace fully the ethos of the Mary Peters Trust. Danielle Mc Bride, Brand Manager of White’s Oats said, ‘’White’s has been supporting healthy and active lifestyles with its porridge oats, granolas and mueslis since 1841. Oats are a mighty superfood for athletes of all ages owing to their complex slow release carbohydrates, which are the body’s primary fuel source and vital for optimal training and performance. Through our sponsorship of the Trainers for the Trust initiative, we aim to promote the link between what we eat and how we perform, and the role that positive nutrition can play not just at a professional level but in all young people’s lives, inspiring the athlete in everyone’’. ‘’We encourage schools and parents across Northern Ireland to get involved by signing up at www.marypeterstrust.org and click on the ‘Trainers for the Trust’ button’’.